Sanjay Leela Bhansali-directed period drama “Bajirao Mastani”, one of the most talked about movies of 2015, has mopped up Rs 301 crore worldwide since its release on December 18, its distributor said today. The film, starring Ranveer Singh, Deepika Padukone and Priyanka Chopra in lead roles, had a gross collection of Rs 211 crore in India (net box office collection of Rs 162.35 crore) and Rs 90 crore (USD 13.5 million) in overseas markets, Eros International Media said in a statement here. “The Christmas and New Year holiday weekends have shown tremendous footfalls (in cinema halls) and with no new release for another week, we expect this phenomenon to continue,” Eros International Senior Vice-President (India Theatrical) Nandu Ahuja said. The movie production and distribution company claimed the movie was the third highest grosser of 2015. 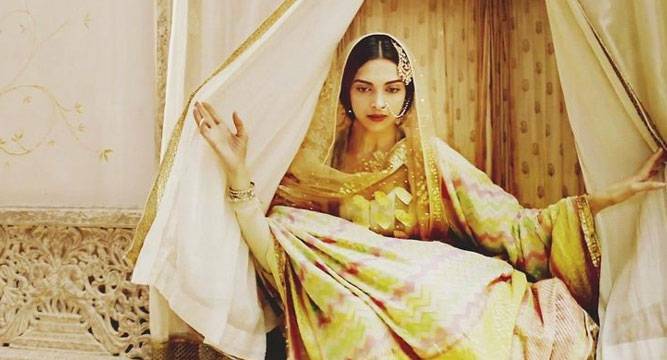 The film, produced by Bhansali, narrates the story of Maratha warrior Peshwa Bajirao I and his second wife Mastani. Eros released “Bajirao Mastani” across 3750 screens worldwide on December 18 and went on to increase showcasing to meet demand in the subsequent weeks. “Bajirao Mastani continues to perform equally well in the overseas markets too with it crossing the coveted million mark across key territories including the US, the UK and Australia. “Overall, the third weekend collections have dropped by only 20 per cent approximately over the second weekend,” Eros International President Marketing and Distribution Pranab Kapadia said.